Over the last few days I've read two excellent books. Neither of them was written by a Pentecostal. If you read much theology (or even just look at the bookshelf at the left-hand side of my blog from time to time) then that probably doesn't come as a huge shock. There are not really that many books written by Pentecostals, and among the few that are, there are not many that I'd rate as excellent. But why? Why can other theological traditions produce such edifying writing while we Pentecostals struggle to produce any writing at all? 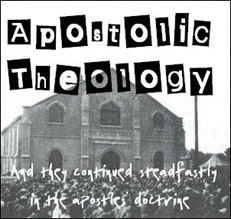 Now, this inaccessibility of much of the writing of Pentecostal theologians (and biblical scholars) to the average Pentecostal pastor is not a conspiracy: there are a number of factors that have contributed to the emergence of such a situation. Another factor is the fact that Pentecostal pastors tend not to have as much theological training as ministers from, say, a Reformed background. That means that there simply isn't as much of a market for serious yet accessible Pentecostal theology. 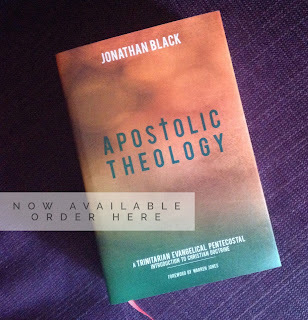 Serious yet accessible Reformed theological books abound, because there are people who want to read them and already have a decent doctrinal knowledge. Unfortunately it seems that Pentecostal theologians either have to assume (much) less doctrinal knowledge, and so we end up with rather simple books (which is not a criticism; they serve a very good purpose in teaching basic theology, and I'm working on such a book myself at the moment), or they have to aim for the small number of Pentecostal academic theologians/biblical scholars (I thought the biblical scholars might feel left out if I put them in brackets again). There just doesn't seem to be much of a middle ground in the market for Pentecostal books. It seems that you jump from Menzies and Horton on the AG's 16 Fundamental Truths (sorry, I can't remember the title of the book) to Yong's Spirit Poured Out On All Flesh. That's quite a jump for most people! I also find myself wondering sometimes if a lot of Pentecostal theologians haven't simply given up on doing theology for the church. Some of the topics which concern Pentecostal theologians so much are very far removed from the concerns of the church. Perhaps this is an overreaction to the fact that for so many years Pentecostal theology was all about two things which were so immediately relevant to Pentecostal church life: Subsequence and Initial Physical Evidence. It's good that we can now write about other issues, but I'm sometimes a little bit concerned about the direction in which the new issues are going. Yet, perhaps, in a way, a move away from issues that are of concern to the church is understandable: after all Pentecostal churches are not well-known for the high value they place on theologians. However, Robert Menzies has shown that it can be done. With Spirit and Power he has shown that a serious biblical scholar can write at a level that can be understood by the average pastor or even the interested layperson and do (serious) theology for the church. Anyway, I've become greatly diverted from my original point, so I'll have to write a Part 2 sometime later in the week.